Ok. I’m gonna go out on a limb here and risk alienating the rabid female fanbase this blog has developed over the course of the last few months. Basically, since inception. Johnny Depp is not only one of the most overrated actors of our generation (yes, Sweeney Todd does not classify as a film! ), he also has a horrible dress sense. While he may have looked somewhat respectable in this article’s title namesake, take one look at him in Alice in Wonderland and you’d run for Neverland. And no, don’t even try and blame it on the costume designers on set! I’ve emphasized it in an earlier article, Cravats untied, and I will hammer home the point here again. Color coordination is vital. Not everyone here is going to opt for off the rack purchases. And that’s fine. Wear a bespoke outfit, with horrible color coordination, and you may as well stay at home waiting for the Red Sox to win another World Series. i.e, an eternity! Buy off the rack, and. while the fit may not be perfect, coordinate your colors well, and your good to go! So what color codes should we pay attention to when dressing up, or dressing down, for that matter? Accent colors are secondary colors and sometimes tertiary colors used in a color scheme. 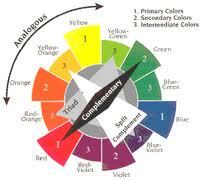 Accent colors may be complimentary, triad, analogous or neutral. Complimentary colors are directly across from each other in the color spectrum, such as red and green here. It’s also a reason why Blue and Rust (Darker Orange) are a popular color combination! A Navy Blue suit with a light blue shirt and a rust tie can look immaculate! Analogous color schemes work well if you want to go for something a little bolder than a monochromatic look but not contrast too heavily. A Brown (neutral color) suit with a lilac shirt and a purple tie could work in this case. Split complimentary allows you to contrast without such a bold statement. So instead of pairing blue with orange, you could pair a blue shirt with a yellow-orange or red-orange tie. Another factor to consider when mixing and matching colors is to balance out ‘warm’ and ‘cool’ colors. Warm colors (red, orange and yellow) are associated with fire and sun. Cooler colors (blue, green, indigo) are associated with calmness and foliage. Balancing out one warm color with two cool colors or the other way around is a great way to create harmony. Personally, I would rather go with two cool and a warm e.g Navy Blue Suit, light blue shirt and a red tie. Or a Neutral color suit, such as a charcoal grey pinstripe suit, with a light blue shirt and a pink tie (variant of red, which is warm). Finally, try and take into account the season you are dressing for! Some colors are more appropriate at certain times of the year than others. For example, pastels of yellow are usually associated with the summer, while fall colors are rust, brown, green and burgundy. Wearing rust in the summer or light yellow in the fall can look out of place. Them be fightin words. I have loved johnny depp since 21 jump street.